The classic all-terrain wagon, now featuring a canopy. This expandable utility wagon, fold with one pull on the toggle, extra wide adjustable all-terrain rubber wheels, loopholes, two front pockets, six pockets. 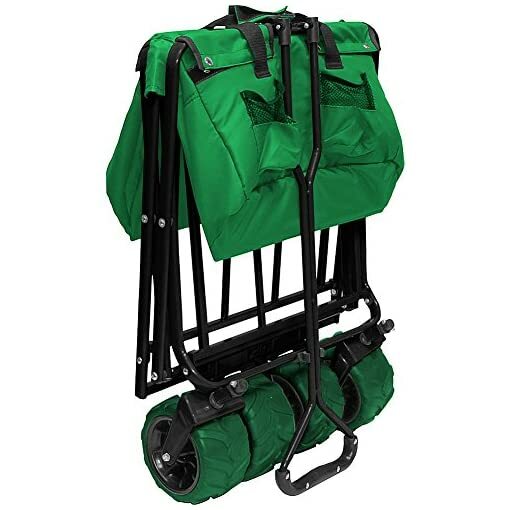 Designed with a sturdy steel frame and durable 600 denier blend fabric. 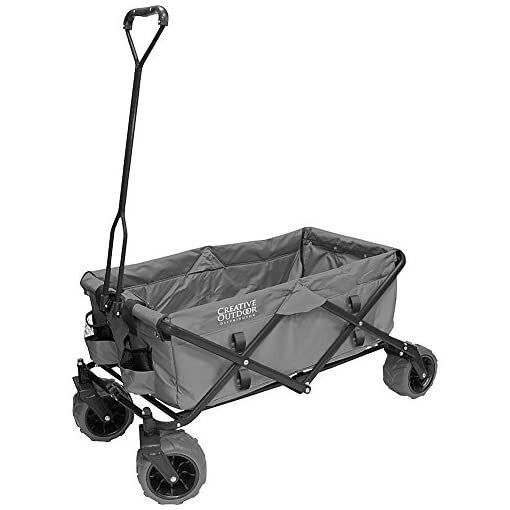 It provides the strength to haul, pull, and push just about anything. 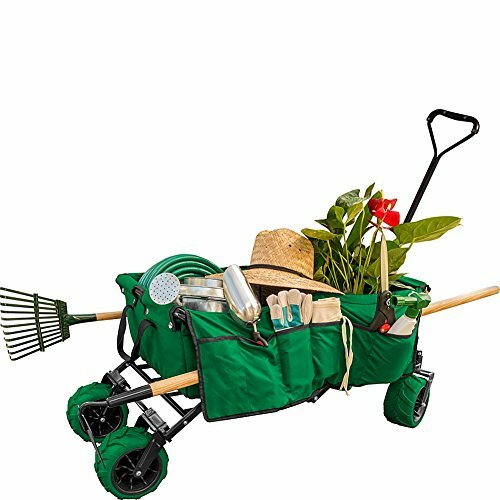 DIMENSIONS: Open – 20″H x 42-1/2″L x 19-1/2″W plus 30″ handle; Collapsed and Folded – 30″H x 20″W x 7-1/2″D; Fabric wagon body interior – 32-1/2″L x 17″W x 10-3/4″H. Weighs 22 lbs. 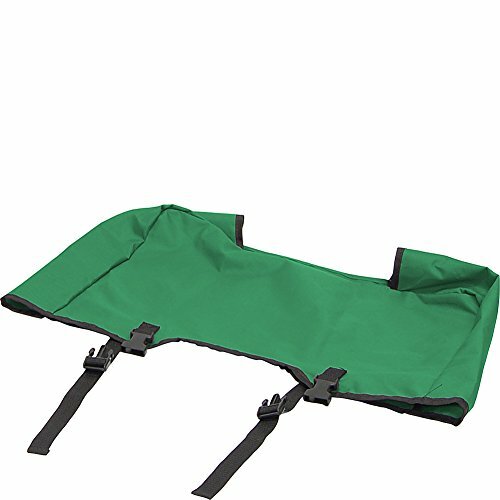 Supports up to 150 lbs. STORAGE: Easy set up – folds up to fit in most car trunks (no assembly required). 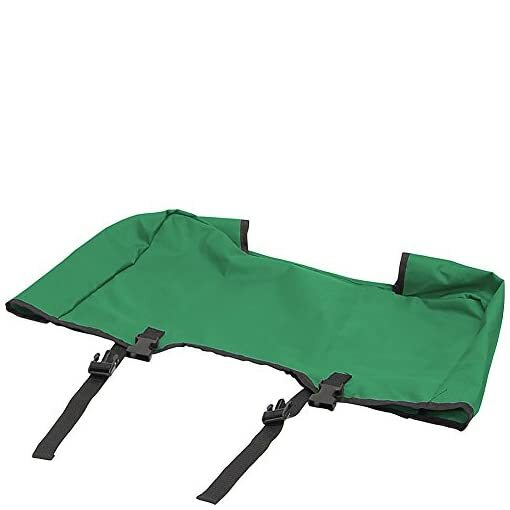 Fold the wagon by one pull on the toggle. Comes with travel/storage sleeve.